In a period of political, social and financial instability in Europe, in conjunction with recurrent violent incidents and the terroristic factor, Germany is called not only to deal with its internal affairs but also to retain its leading role in promoting coherence and cooperation among European states. Since the refugee issue and its effective management constitutes one of the most crucial challenges for the European governments, including Germany, the analysis of the recent elections’ results in the country and the rise of the right-wing party would be of imperative significance. On 24th of September, Chancellor Angela Merkel ensured her fourth term in Germany’s governance, but her success was accompanied with the historical victory of the far-right AfD party. By capturing the 13 per cent of the votes, AfD became the country’s third biggest political force and managed to enter the parliament for the first time in more than 60 years. Although Chancellor Merkel has won the elections, her power has been intercepted by the anti-migrant nationalist Alternative for Germany. As Christian Odendahl, chief economist of the Centre for European Reform in Berlin, aptly said “Merkel has paid the price for her policies during the 2015 refugee crisis”, implying that the refugee issue has played a central role in voters’ preference. Consequently, apart from the fact that Chancellor Merkel has now to build a coalition with a radical and extreme political party, the electorate torn might have further implications regarding governance in Germany and Europe as a common structure as well as the management of the refugee issue. But how did AfD party rise and how does it affect the sociopolitical affairs related to refugees and migrants? The AfD was formed in 2013 by Bernd Lucke and considered itself as a Eurosceptic party. Nevertheless, the four-years old AfD’s popularity basically rose during 2015-2016 when it was taken by anti-migrant nationalists due to the massive refugee and migrant arrivals in Europe and specifically in Germany. This was the starting point when the party started gaining social legitimisation and becoming a national platform for those who were desperate or disappointed from Germany and Europe’s observatory role. By instilling anti-migrant ideologies and fear of foreigners, the AfD managed to attract votes from conservative and right-wing circles, basically from the eastern part of the country. They did not hesitate to declare the potential use of firearms for the prevention of asylum seekers’ arrivals and the protection of the country’s national borders. The party has alleged the alibi of a threat against national security and the necessity of a “constructive opposition” in order to ensure Germans and the whole country’s national interests. Thus, it is feared the high possibility for this party to normalise violence and racism in the streets of Germany. Therefore, considering that the refugee issue is a significant factor posing challenges and restraints in the whole European structure, the rise of the right-wing party in Germany implies that voters tend to prefer more extreme and radical political options instead of a more conventional and conciliatory parties. This phenomenon does not necessarily reflect citizens’ beliefs and orientation, but rather constitutes the product of disappointment because of European governments’ inability to effectively deal with the massive refugee and migrant arrivals. Europe’s pathetic attitude and its observatory role combined with the lack of a comprehensive migration policy has boosted sentiments and expressions of threat, anger and disappointment. When local people are called to deal with relevant challenges in their everyday life while at governmental level there are no substantial provisions for refugees’ management and social integration, it is an unavoidable consequence for citizens to vote according to their sentimental criteria and not as rational human beings. Thus, Germany, apart from having a leading role in the European affairs, has also received a considerable number of refugees and migrants within its territory, aiming to prove itself as a living example for other European countries to follow. Nevertheless, receiving those people is not adequate since there is a series of actions which need to be adopted and implemented in order refugees to be absorbed in and integrated within societies. And the refugee issue just constitutes the top of the iceberg, revealing not only Germany but also Europe’s inadequate mechanisms to respond to emergency situations. Corroborating the aforementioned, European citizens’- and accordingly Germans- disappointment emanating from the political instability leads to social insecurity which right-wing parties seek to take advantage of. They invoke these feelings and governments’ inefficiencies in order to attract as many disappointed voters as possible. Given that this phenomenon is not met only in Germany but concerns more and more European states, Europe as a whole political and economic structure consisting of independent governments should find its own role and weaknesses which might have led or at least reinforced centrifugal forces and particularly the rise of right-wing parties. The mismanagement of the refugee issue, the lack of a comprehensive strategic plan and the promotion of governments’ national interests in relation to human rights principles have caused an atmosphere of sociopolitical insecurity, leading voters to more extreme political solutions. 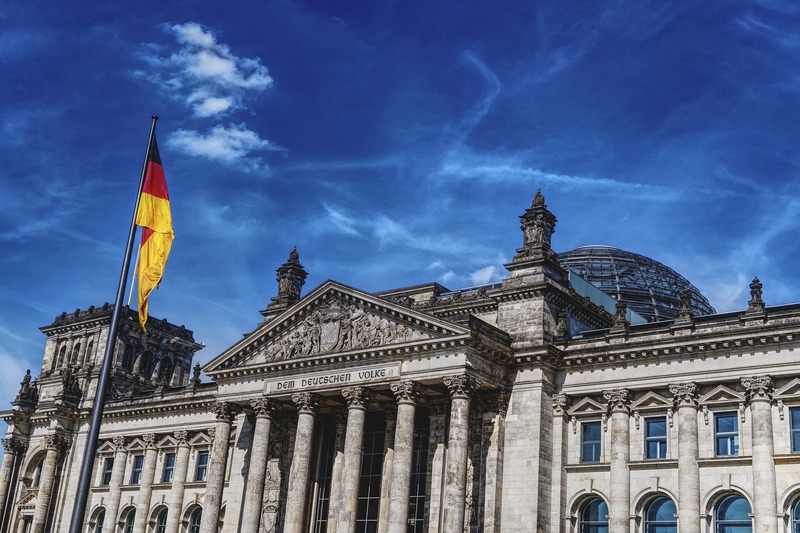 Specifically, the AfD’s entry in Bundestag constitutes a historical event not only from a political perspective but also from the implications it is revealing. Angela Merkel as well as all liberal European states should get the message of these elections’ results. The change of the whole European migration policy is, therefore, considered to be of imperative importance. Europe has paid the price of its indifference and it has been evident that turning a blind eye to its domestic problems, it will not be able to confront them. Instead, adopting a more active role as well as a rights-based migration and refugee policy will protect those people’s fundamental rights when at the same time might lead towards the deconstruction of conservative and extremist trends in Germany and Europe’s political life. In any case, Chancellor Merkel has now to deal with the challenge to build a coalition with the right-wing party. Furthermore, a political or ideological compromise between Christian Democratic Union and the Alternative for Germany is likely to follow in conjunction with a redefining of policy priorities, including the refugee issue. It remains to see the extent to which the entry of AfD party in the German Parliament will affect the country’s refugee and migration policy. Rothwell, J., J. Huggler and L. Watson (2017) ‘German elections 2017: Angela Merkel wins fourth term but protests erupt at surge of far-right AfD’. The Telegraph. Accessed 27 September 2017 <http://www.telegraph.co.uk/news/2017/09/24/german-elections-2017-live-exit-poll-results-angela-merkel-seeks2/>. Ibid. Accessed 27 September 2017. Reguly, E. (2017) ‘Merkel victory marred by rise of Germany’s far-right party’. The Globe and Mail. Accessed 27 September 2017 <https://beta.theglobeandmail.com/news/world/merkels-big-win-dented-by-rise-of-anti-immigrant-afd-party-in-german-election/article36376301/?ref=http://www.theglobeandmail.com&>. ‹ German Government Offers Financial Incentives for Electric Cars	› Why does female genital mutilation continue to happen?